The residential suburb of Pinner (HA5) has lots of beautifully furnished homes. This West London area requires services from efficient carpet cleaning companies like Magic Carpet Cleaning in Pinner (HA5) which can ensure the beauty of your carpets and sofas remains intact. We can offer you a professional steam cleaning service that removes all accumulated dirt and dust from your carpet base and helps with stubborn staining. 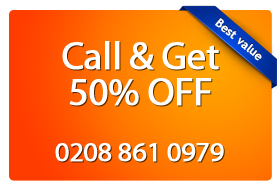 You can book our reliable carpet cleaners now by calling 020 8861 0979 and arranging a visit from our local team. Don’t hesitate to have a clean carpet even today as we offer same-day cleaning services as well! Steam Cleaning also known as Hot Water Extraction is employed by Magic Carpet cleaners in Pinner (HA5) to make the carpet free of dirt and stains. In the pre-treatment part of the procedure we use only safe and tested cleaning products to treat blemishes or spots. You can be absolutely sure our treatment won’t cause any harm whatsoever to your family or pets. You can book our professional Magic Carpet Cleaning team in Pinner via our quick contact form or give us a call on 020 8861 0979. Our team of polite assistants will help you with your booking in no time. You can learn more about our steam cleaning services in Pinner, the methods and products we use. Don’t forget to ask about your absolutely free price quote. It comes with no obligations whatsoever. Once you have booked your service for a clean carpet, you can expect our local team to arrive on time, fully equipped and ready to give your carpet a new clean and fresh look!